Freedom Theatre's production is based on real-life events in Bethlehem in 2002. Following armed clashes in the city, a group of Palestinian fighters took refuge in the Church of the Nativity and held out for 39 days. The production is based on the accounts of these men, who were offered sanctuary in one of the holiest sites of the Christian church, believed to be built over the spot where Jesus was born. Staged in Birmingham Repertory Theatre's small The Door space, the church opens in front of the audience so that we are all participants in the siege. Lasting one hour and 45 minutes without an interval, there is a sense of claustrophobia, a sense of foreboding and a sense that there will be no escape. We see the camaraderie of the men as they share their memories of home, pass a single cigarette around the group and work together to maintain morale. But there are also splits and weaknesses and, as hunger sets in, their increasing hopelessness leads to tensions. There's no pretence that this is an objective production. Freedom Theatre is based in Jenin Refugee Camp and is made up of Palestinians whose stated aim is to tell their side of the story. Many of the characters explain their reasons for fighting – their desire for their own homeland, a need to find peace with their families, a sense that this is all they can do. But there are times when those discussions can sound a bit like set speeches to the audience rather than real-life conversations between men on the edge. 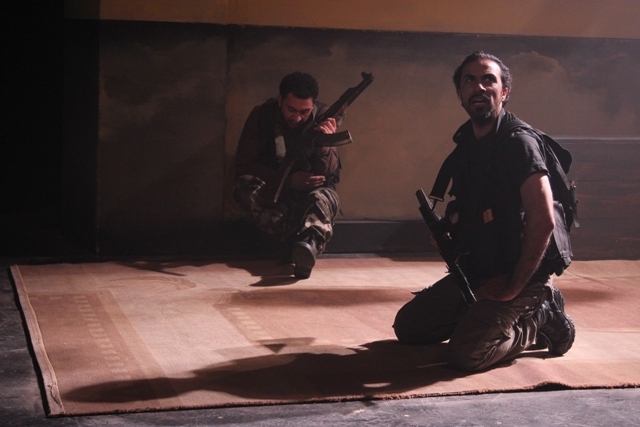 The cast of six are convincing in their roles with particularly strong performances from Faisal Abu Alheja as an injured fighter and Hassan Taha as the de facto group leader. 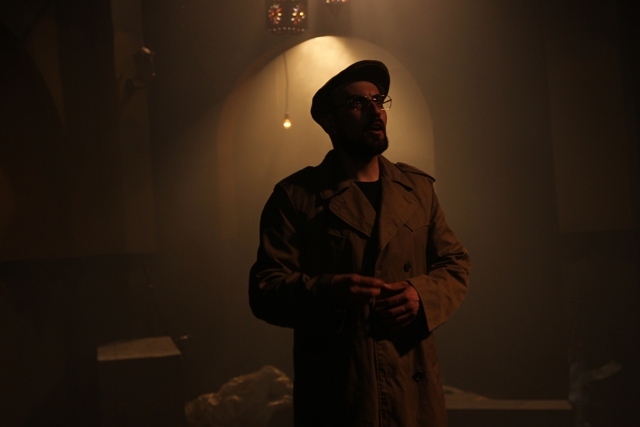 The tension is framed with comedy as Ahmad Tobasi takes on the role of a tour guide shepherding the audience on a trip round the church. There's a real light touch to this character as he suggests we make a donation or pauses a moment for the tourists to take photographs. The drama is also interspersed with memories from the fighters which brings their stories up to the present day and makes us only too aware that they remain besieged even today. Written by Nabil Al-Raee who co-directs with Zoe Lafferty, The Siege certainly gives you plenty to think about. While the international news spotlight has largely moved on to other areas of the Middle East, the fact that this three night run at The Rep is sold out shows people are still fascinated by the conflicts of the Holy Land. The Siege is at The Rep until June 6 and on tour – see www.freedomtheatre.org for full details.